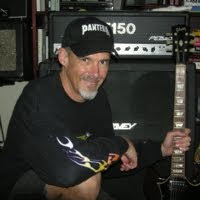 Frank Blank Music: So what? 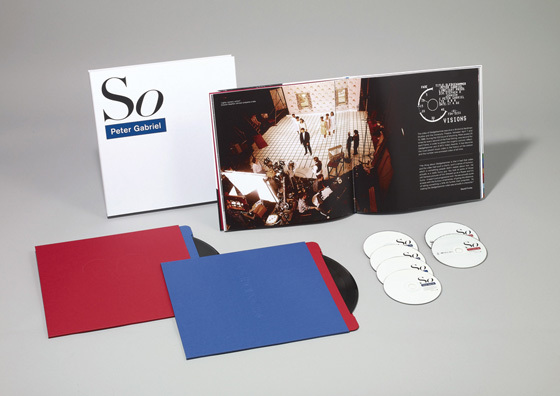 I’m a big sucker for – errr… fan of – the so-called superdeluxe album packages. Generally released to commemorate a recording’s anniversary, for a listener who likes to know who the third engineer was during recording sessions or who provided transit support on the European tour these editions are a blast. The So superdeluxe edtion, excessive or essential depending upon your point of view. Peter Gabriel last year released a 25th anniversary observance of his classic title So. The album turned Gabriel into a somewhat unlikely superstar, considering it came between two experimental Gabriel soundtrack efforts for Alan Parker’s Birdy and Martin Scorcese’s The Last Temptation of Christ. The heavy box contains many standard superdeluxe features, ranging from multiple discs offering insight into Gabriel’s recording strategies to a large-format hard bound book, including many photos of the quite rustic Real World Studios outside Bath, England. One of the most interesting inclusions in this So retrospective is a DVD presenting a two-hour performance of Gabriel’s road band. Recorded in Athens, Greece in 1987, and remixed into 5.1 surround, the DVD is a flashbackward look at an incredibly forward-thinking artist. 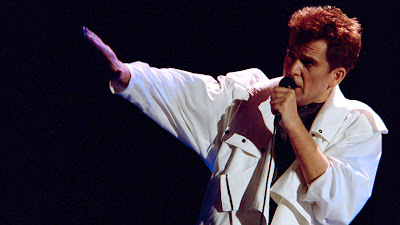 Peter Gabriel on stage in Athens, Greece, in 1987. While theatrics were nothing new for Gabriel in light of his colorful history fronting Genesis, by the time this show took place his performance was nearly sublime in its refinement. Choreography is used as a tool to communicate the emotional core of his songs, and Gabriel’s repeated interaction with his lighting rigs – looming high over the singer or rushing down over his cowering figure in a claustrophobic encounter – conveys everything from streaming lights of the heavens to terrifying resignation. It’s stunning to see even decades later, retaining a sense of cutting-edge staging. 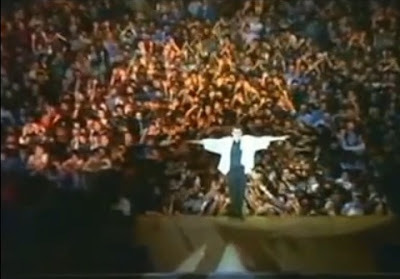 The moment of trust: Peter Gabriel falls into the Athens crowd at the climax of "Lay Your Hands on Me." If Gabriel and the band’s clothing bears a slight of-its-time vibe, despite an attempt then to present a unified futuristic sense, the music is simply timeless. Playing tracks from the then-new So or running through a review of the stunning Security album, the band – the towering Tony Levin on bass, keyboards, and Chapman Stick, former E Streeter David Sancious on keyboards, David Rhodes on guitar, and the powerful Manu Katche on drums and percussion – manages to take the complex studio recordings and translate them into vibrant live entities. The interplay between the four musicians, occasionally supplemented by Gabriel’s keyboards, is intuitive and tight. I saw the So tour twice at Philadelphia’s Spectrum, and have always retained a mind’s-eye memory that Peter Gabriel’s performances in that era were both exceptional and incredibly innovative. It’s nice to see that in a view from 2013, these recollections are far more substance than nostalgia.